In the alternate universe story of "Logan" the movie, we will see the old man Logan, who is making ends meet by living his life as an on-call luxury car driver day-in and day-out. His earnings were used to buy medicines for the ailing Professor X and as their food for their everyday living set in the middle of the desert near the Mexican border. In the movie, Logan also suffers from his own health problems as he was really ageing and perhaps becoming weak everyday due to his more than a hundred years old age in the X-men cinematic universe. 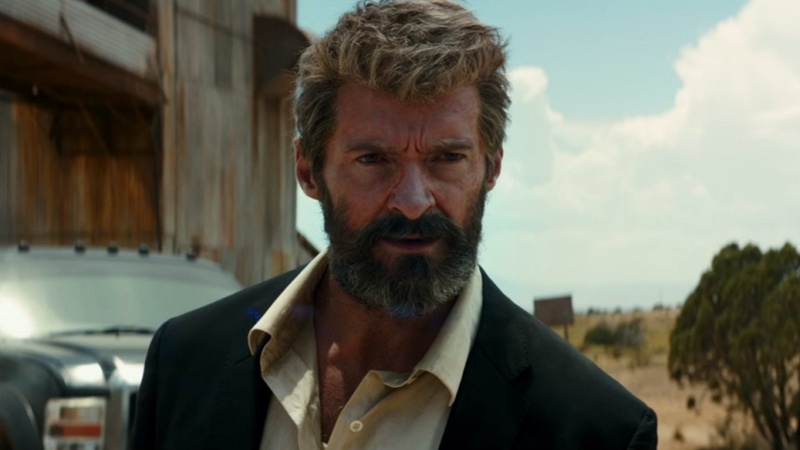 The "Logan" movie is set in 2029, where mutants were presumed to be extinct, but recent scientific studies in the film will reveal that mutants were secretly "created" somewhere in Mexico and that these mutants believed that there is a place such as "Eden" for them in the so-called sanctuary for mutants. A surprising twist for Logan awaits as he accepts to deliver a little girl with amazing abilities. "Logan" has this feels of Wolverine being just an ordinary person. In the movie, we will see that the mighty Wolverine is also a human after all --- he becomes weak, he thought he was left out, he has a job, he takes care of the ailing Professor X and also adopted an albino with mutant-tracking abilities, and feels different sufferings, too! We liked how Logan was re-introduced in this film for the nth time --- he is subtle, yet not calm, and has a heart and soul, too --- away from his cold-blooded and raging Wolverine character in the previous X-men Cinematic Universe movie franchises. "Logan" is something as compared to other X-Men movie franchises. It has lesser computer graphics special effects, it has lesser destruction as X-Men: Apocalypse and X-Men: Days of the Future Past, and it has lesser complications when it comes to the story plot. But then again, less is more! With just little details, the director James Mangold has created a wonderful story for the "Logan" character that is so perfect for the final curtain. Truly is, "Logan" is the heart of all X-Men movie franchises and the end that will end all endings in the X-Men Cinematic Universe. Overall impression, "Logan" is one compelling movie drama with action sequences to watch. Don't forget to catch "Logan" in Philippine cinemas this weekend. My advice is, if you don't want seeing Wolverine stars in a soap opera, then don't watch "Logan". But if you loved Hugh Jackman and loving is letting him go, please, give yourself a chance to watch this film! A 10 out of 10 movie experience for being different and giving Hugh Jackman his spotlight for filming the best Wolverine character ever!